Michael Orth joined The Green Law Firm P.C. as an associate attorney in 2011. Although raised in Dallas, Michael began making his way south along the Texas Gulf Coast towards the Rio Grande Valley after his high school graduation. In 2007, Michael earned his B.S. in Political Science from Texas A&M University in College Station. While at Texas A&M, Michael made the Dean’s List several semesters, was inducted into Pi Sigma Alpha, the school’s political science honors fraternity, and held several leadership positions in Beta Theta Pi, a social fraternity. Before attending law school, Michael worked in the trucking industry, where he saw firsthand the life-threatening and life-altering dangers that can and do happen when drivers are careless, and companies put profits before safety. At that point, Michael decided to pursue a career in law, which allows him to combine this experience working for a leader of the trucking industry with his legal education to hold responsible those people and companies that endanger our families by driving eighty-thousand pounds unsafely down the road. 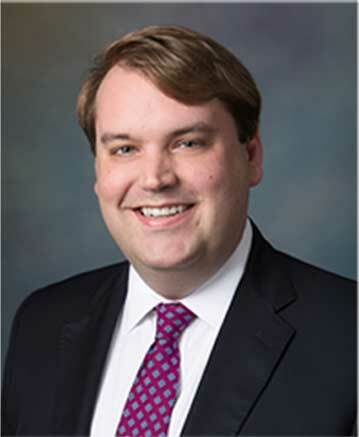 In 2011, Michael graduated from the University of Houston Law Center, where he served as a Senior Articles Editor for the Houston Journal of International Law. During law school, Michael never lost sight of his goal to help those hurt and affected by the recklessness of others. While working towards his law degree, Michael worked at a major Houston law firm that represented injured individuals and families exclusively. During his three years there, Michael worked on a wide array of cases, from a catastrophic crane collapse to fatal refinery explosions and bus rollovers. After joining the Green Law Firm in late 2011, Michael tried his first case within nine months. At trial, Michael showed the jury that the insurance company’s claim that his clients caused the wreck was untrue, and the jury returned a verdict for Michael’s clients for an amount several times more than the insurance company’s offer made right before trial. Since that first trial, Michael has successfully tried cases for his clients in Cameron and Hidalgo Counties, and has negotiated highly favorable settlements for hundreds of The Green Law Firm clients in counties across the state. Michael is admitted to practice in all Texas state courts and in the United States District Courts in the Southern District of Texas. He is a member of the Cameron County Bar Association, Hidalgo County Bar Association, Texas Trial Lawyers Association, Texas Young Lawyers Association, Texas Aggie Bar Network and the 12th Man Foundation at Texas A&M. When he’s not fighting for his clients, Michael spends his time with his beautiful wife, Katlyn, and their always-happy young daughter, Kathleen Rose. Michael loves spending time (and lives) at the beach and is an avid supporter of the Texas A&M athletic programs.